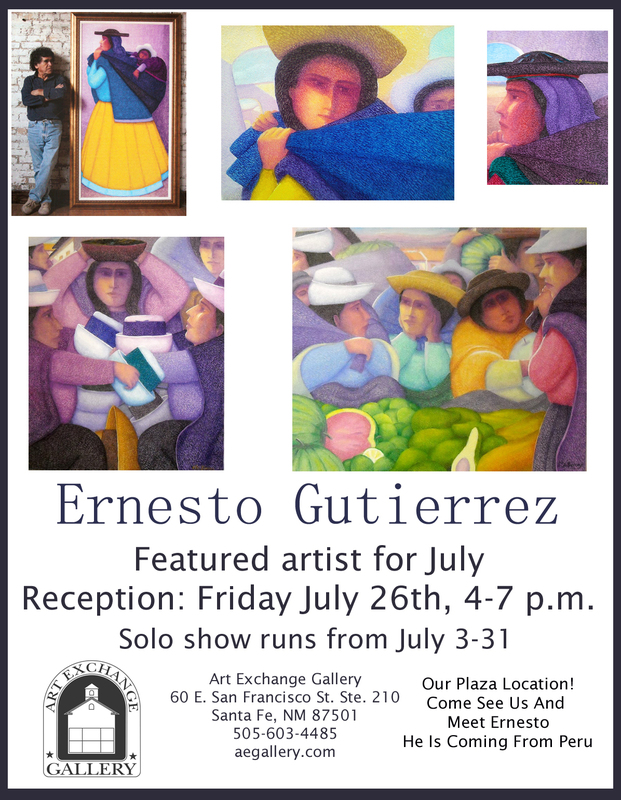 We are thrilled to be able to show some new work by Ernesto Gutierrez. He is an established artist who became well known when he showed with Nieto and R.C. Gorman here in Santa Fe, NM. We are now the sole representative for his work in New Mexico. He will be making a trip from Peru this month to be with all of us. Reception to meet him: July 26th 4-7 p.m. at our downtown location. Feel free to call Jeff Tabor at 505-603-4485.